Geraldine is the founder of the Justisse Method – a comprehensive method of fertility awareness cycle charting that she founded in 1987. She is the CEO of Justisse Healthworks for Women, and she is the Academic Dean of the Justisse Training College. She has worked as a fertility awareness educator and a holistic reproductive health practitioner since 1977, and she has been active in the reproductive health freedoms movement since then. If you didn’t get a chance to listen to the episode Geraldine and I recorded last year, you’ll want to go back and listen to episode 56 which I will link to this episode. 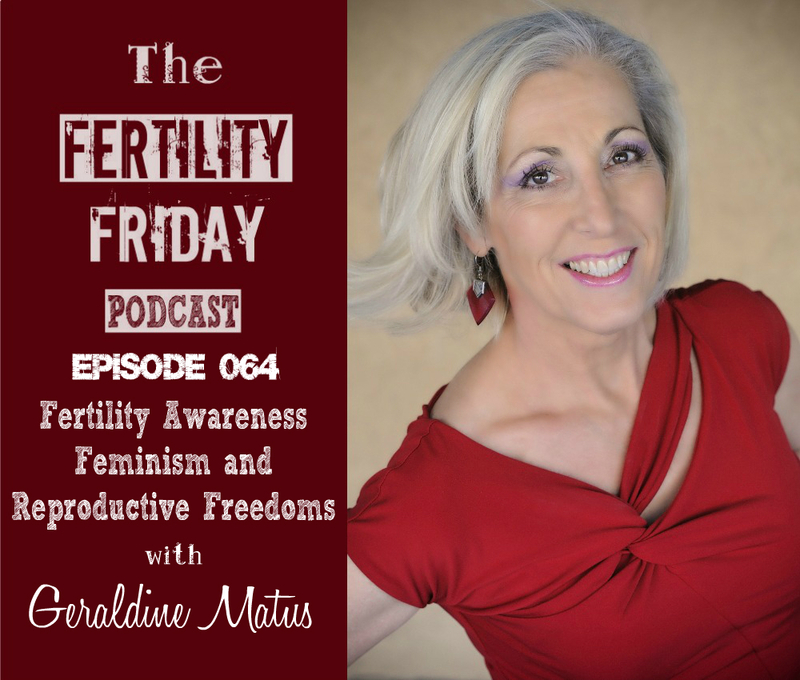 In our previous episode, Geraldine talked in depth about the history of Fertility Awareness-Based Methods and how Justisse came about. She talked about the important role that she played in bringing this knowledge into the secular realm to allow free access to all women regardless of their marital status or religious affiliations. In today’s show, we delve into the psycho-spiritual aspects of fertility awareness, the different ways that our bodies are commodified and mistreated within the standard medical system, and the implications these issues have for modern day feminists. Where does the Fertility Awareness Method fit in with modern day feminism? Why is our fertility treated as a “disease” that needs to be “treated” by modern medicine? Why are women still told that hormonal contraceptives do no harm to our reproductive systems? What is misogyny? And what does it have to do with the way women’s bodies are treated in our medical system? You can connect with Geraldine on the Justisse website and on Facebook!